Recent data from the U.S. Census Bureau shows that there were 39.7 million Americans living in poverty in 2017, with nearly half of which living below 50 percent of the poverty threshold, otherwise known as “deep poverty.” Get the latest facts and figures below, and find out how Community Action is helping low-income families and individuals discover paths to prosperity. 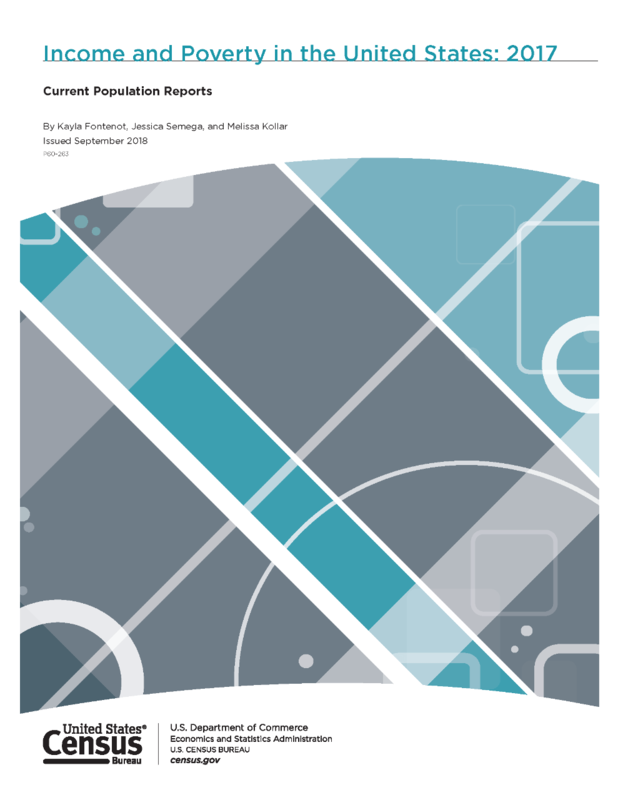 This report presents data on income, earnings, income inequality, and poverty in the United States, based on the latest information collected from surveys conducted by the U.S. Census Bureau. 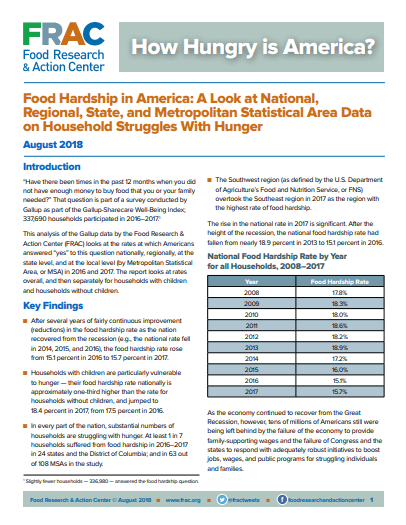 Analysis of the Gallup data provided by the Food Research & Action Center regarding national, regional, state, and Metropolitan Statistical Area (MSA) rates of household struggles with food insecurity and hunger. 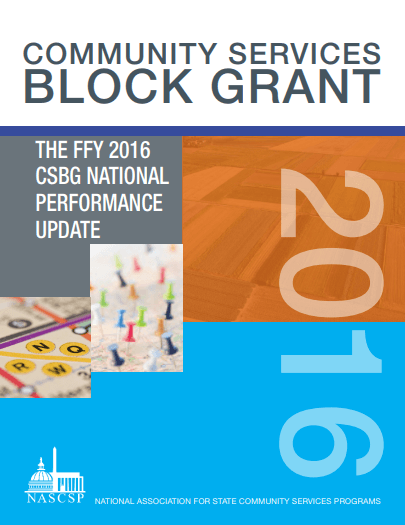 This detailed survey of the Community Services Block Grant (CSBG) network describes the services provided, customers and communities assisted, and the outcomes achieved by over 1,000 agencies nationwide. 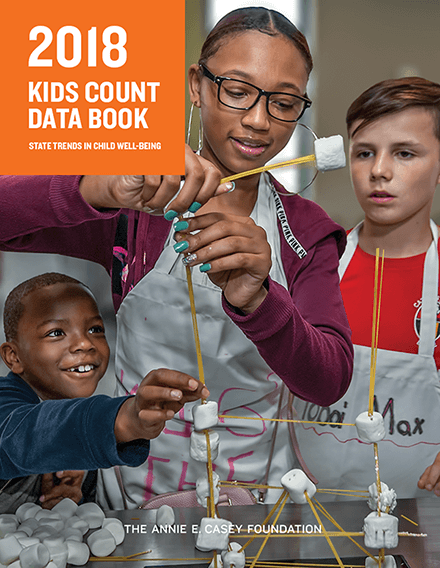 This report examines state trends in child well-being, finding mixed results in areas of health, education, and family and community factors, despite improvement in overall economic well-being. 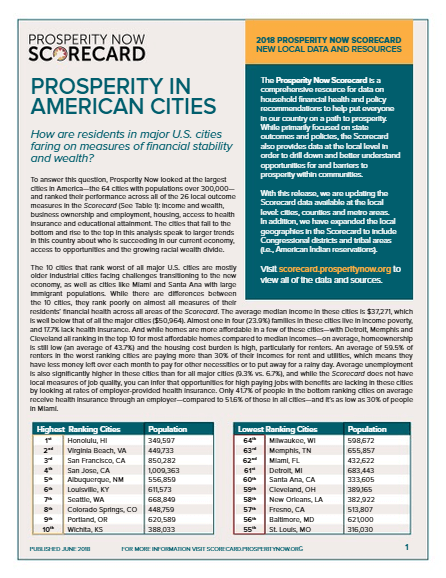 The Prosperity Now Scorecard offers comprehensive data and rankings based on outcome measures of household financial health, as well as policy recommendations that promote nationwide prosperity. Click here to access the findings. 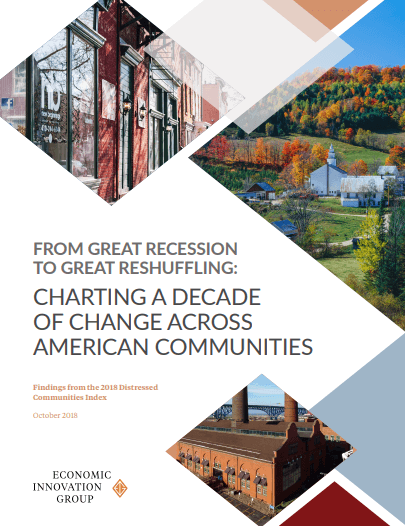 The DCI provides a clear snapshot of the economic and social state of U.S. zip codes, counties and cities from combining seven complementary metrics into a single measure of economic well-being. Below you will find various reports from state associations across the Community Action network, providing important figures and analysis regarding statewide poverty trends and factors that move low-income families and individuals toward self-sufficiency and success. 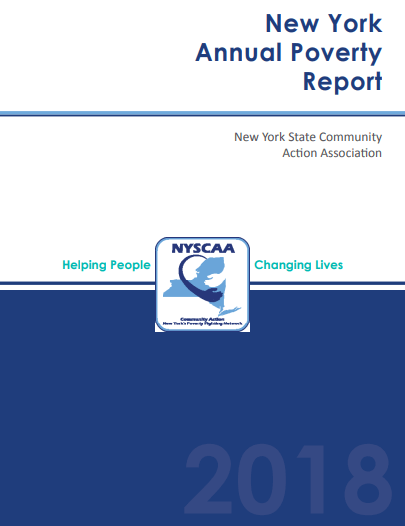 This report provides essential data intended to inform dialogue on how to effectively combat poverty and enhance the capacity of Community Action Agencies in the state of New York. 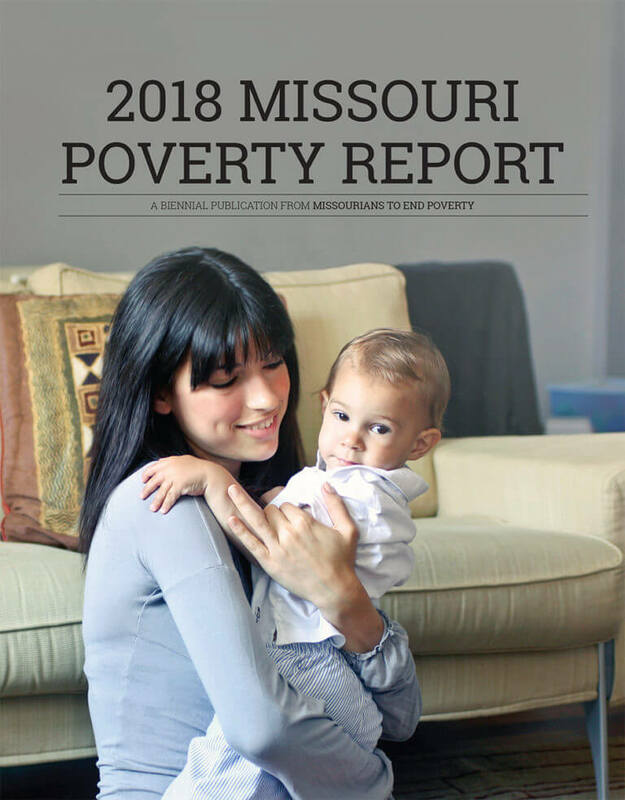 The 2018 Missouri Poverty Report offers a comprehensive snapshot of poverty in the state of Missouri, including the latest statistics on the barriers preventing Missourians from achieving self-sufficiency. 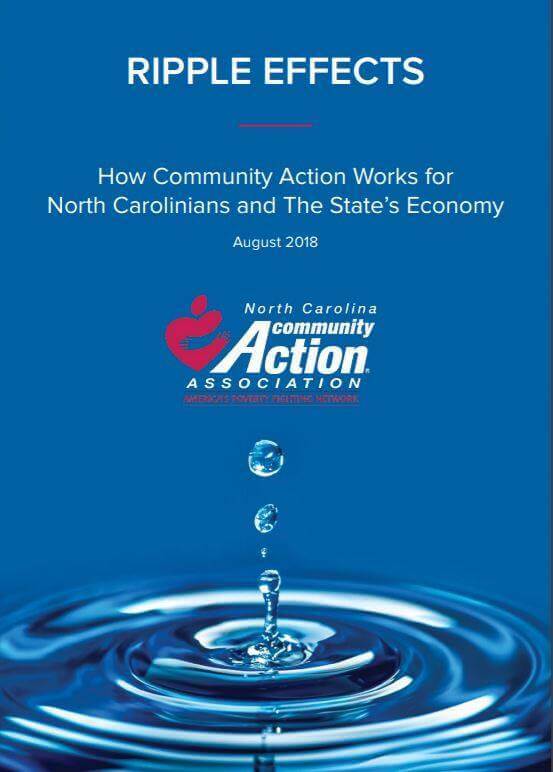 This study examines how Community Services Block Grant (CSBG) funding leverages millions of dollars in additional statewide economic output and supports thousands of jobs across all industries in North Carolina. 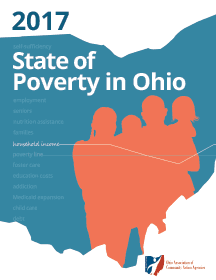 The State of Poverty in Ohio report looks at trends across the state preventing low-income Ohioans from breaking the cycle of poverty, such as the rising cost of education and healthcare, as well as the state’s opioid epidemic.